A B.C. beekeeper has a solution to cutting down on honey fraud. In the last fiscal year, more than 23 per cent of imported honey products tested by the Canadian Food Inspection Agency contained additives, despite being labeled pure. A B.C. honey producer may hold the key to helping Canada fight back against honey fraud. In the last fiscal year, more than 23 per cent of imported honey products tested by the Canadian Food Inspection Agency contained additives, despite being labelled pure. The agency found the honey had been diluted with rice and corn syrups. Chilliwack beekeeper Peter Awram's family has been in the business since the 1970s and he says the industry is becoming less lucrative. 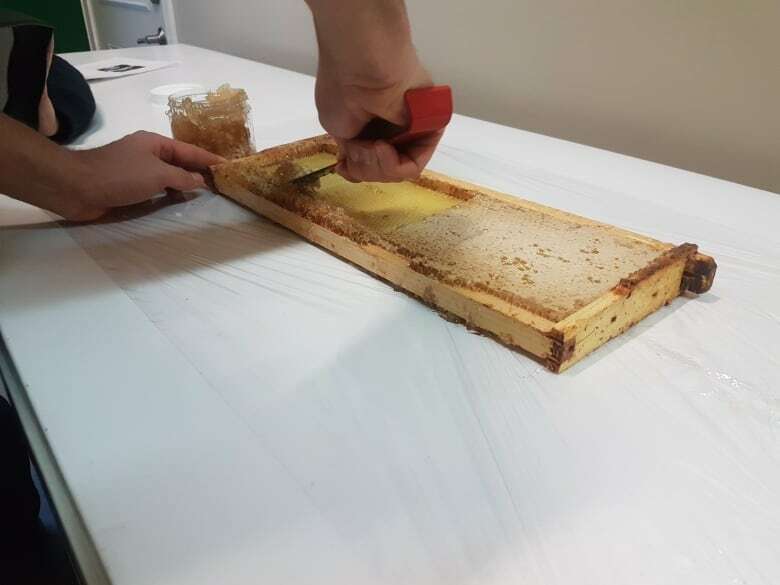 So Awram is taking honey fraud into his own hands by creating a database to track honey in hopes it will help take the fake stuff off the shelves. 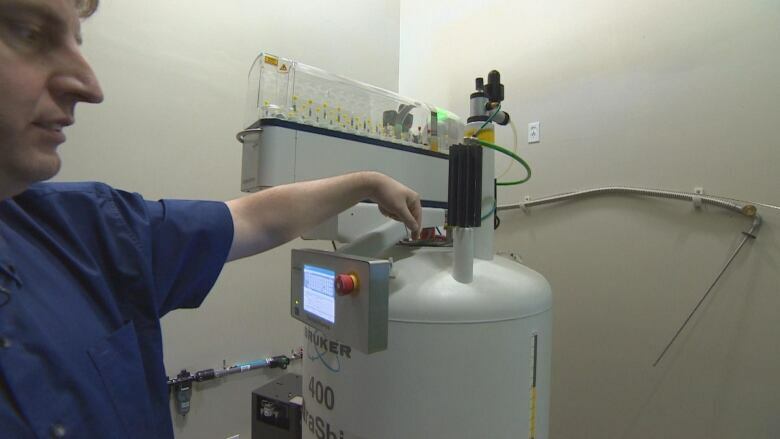 Awram uses nuclear magnetic resonance, one of just a handful of people in North America with a machine capable of the technology. The machine detects added syrups in samples. Nuclear magnetic resonance may sound complicated but the process is quite simple. "You drop it down into the centre and then it shoots a magnetic pulse at it, and you see how it reflects back at you and that lets you figure out what is happening in that sample, what all the molecules are." 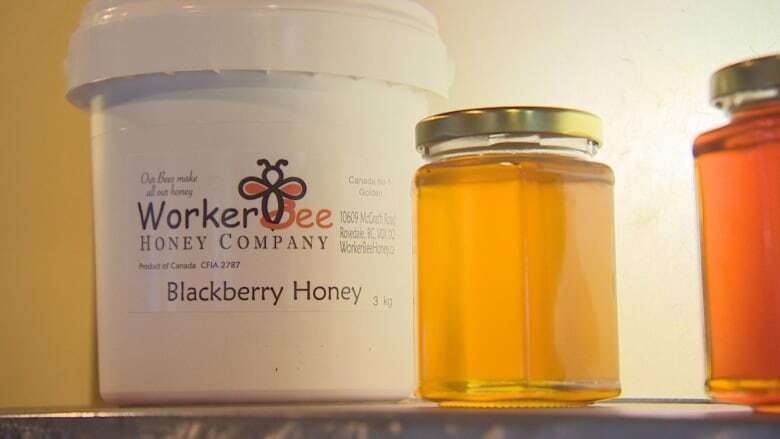 Awram says people from across Canada have been sending in samples, with the goal of having a big enough database to determine the true proportion of the country's diluted honey. "The extent of honey fraud is just skyrocketing. It's getting out of control." The Canadian Food Inspection Agency (CFIA) says it regularly inspects and analyses domestic and imported honey to verify compliance. But Rod Scarlett, director of the Canadian Honey Council says more needs to be done to keep pace with those producing diluted honey. "They've upped their game to the extent that it appeases a lot of our international marketers but there still remains an issue because there are too many people trying too many things to beat the systems." Scarlett says the council is aware of Awram's work and wants him to continue. "We've been encouraging Peter to do more to work with the CFIA, to become accredited and to get a Canadian database together; to work together with some labs in the U.S.A. so that we can get a North American identification system in place." Identification is important according to Awram because finding out where the diluted honey is coming from can be difficult. "Most people suspect China is the majority producer of it." China can't directly export honey to Canada — its standards don't meet Canadian regulations — but its honey still lands on our shelves via other countries. There's an easy rule to remember if you're worried about buying honey at the grocery store: If one sample moves faster than another, it's more diluted. But Awram's hope is if his machine gets enough buzz, you won't have to worry about fake honey at all. "We need this to happen now or there may not be a honey industry here in Canada in the next five years."